I edited and authored the 2018 Concrete New York Map for Blue Crow Media. It features 50 sites of Art Deco architecture in New York City, from icons like the Chrysler Building to abandoned structures on an off-limits island. It highlights the incredible creative expression happening across the five boroughs in 1920s and ’30s architecture. Photographs by Jason Woods illustrate the printed map. 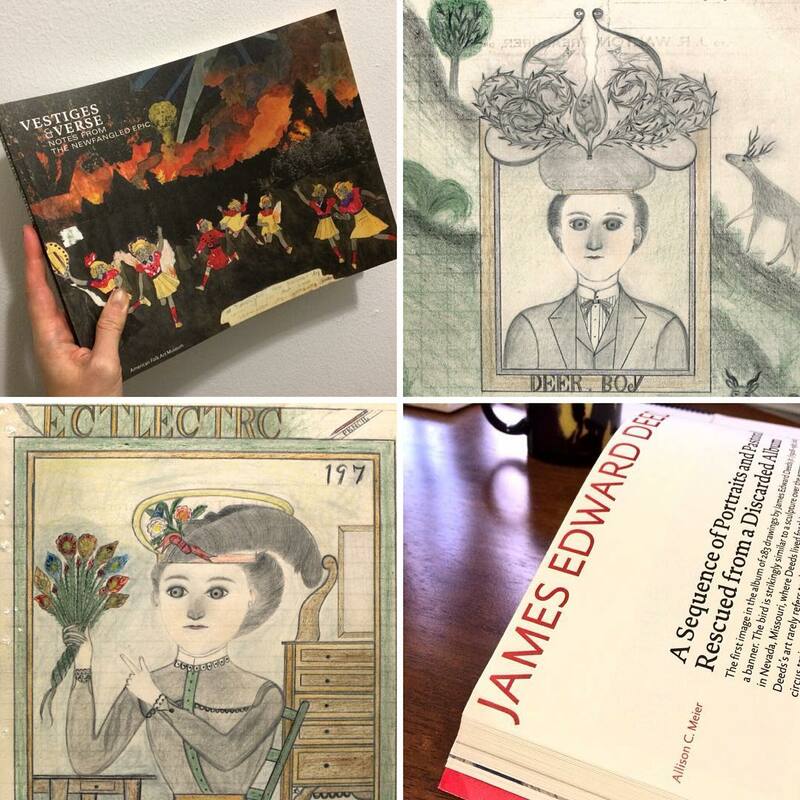 I contributed an essay on the enigmatic art of James Edward Deeds, Jr. for the catalogue for Vestiges & Verse: Notes from the Newfangled Epic (January 21, 2018–May 27, 2018) at the American Folk Art Museum in New York. The exhibition features 21 self-taught artists who worked with narrative in their work. I edited and authored the 2017 Concrete New York Map for Blue Crow Media. It features 50 sites of concrete architecture in New York City, dating from the 1870s to the present. Brutalist behemoths in the Bronx, experimental modernism in Manhattan, 19th-century architecture in Brooklyn, military infrastructure in Queens, and a most curious bookstore on Staten Island are all included. Photographs by Jason Woods illustrate the printed map.